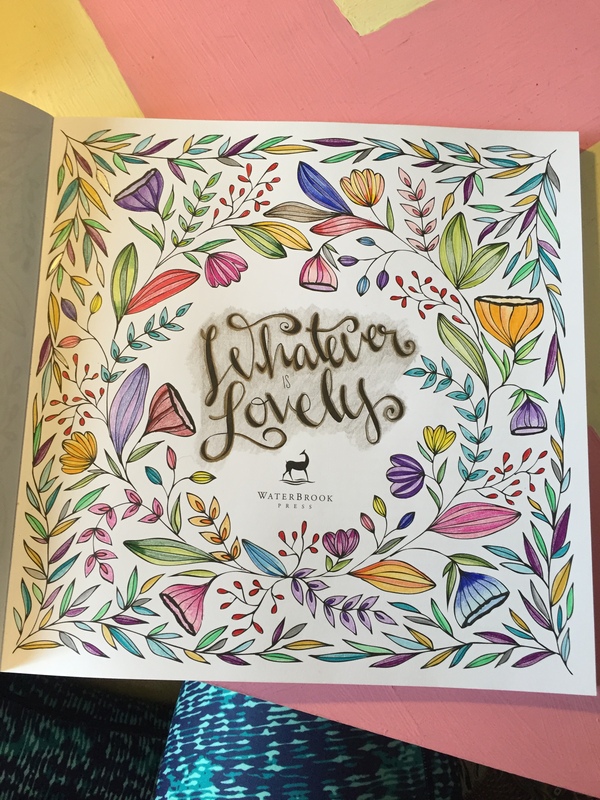 The Whatever is Lovely coloring book pairs hand lettered drawings and mosaics with scripture and biblical encouragement. The paper is high quality, smooth and perfect for color pencils or even watercolors, which my Grandmother sweetly sent me for Christmas this year. This image of the deer getting a sip of water reminds me of her home on the Brazos river back in Texas. I especially enjoyed the beautiful hand lettering and one sided pages, so I could experiment with colors, techniques and like I said watercolors! And they have a Spotify account perfect for worship and relaxation while coloring in your new book. 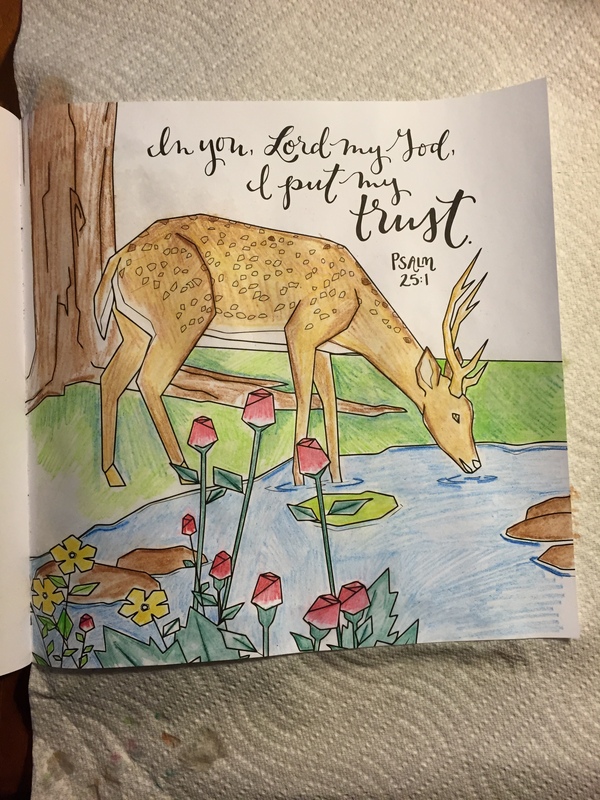 I added this coloring book to my morning quiet time, after prayer, reading, and reflecting (and coffee) I turn on the playlist and color for an hour. I feel so refreshed and ready to start my day. 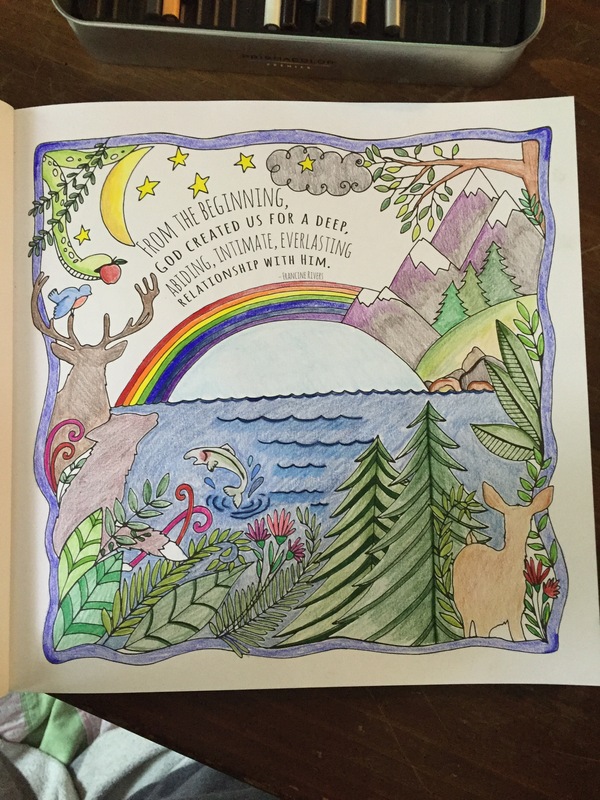 Want to incorporate coloring into your worship time? Get a copy of Whatever is Lovely from Amazon, HERE. I have also become quite a collector of coloring books. This book looks lovely! I like that’s it’s spiritual without looking entirely so. Jessica, I don’t think one could ever have too many coloring books the way one can never have too many cookbooks! 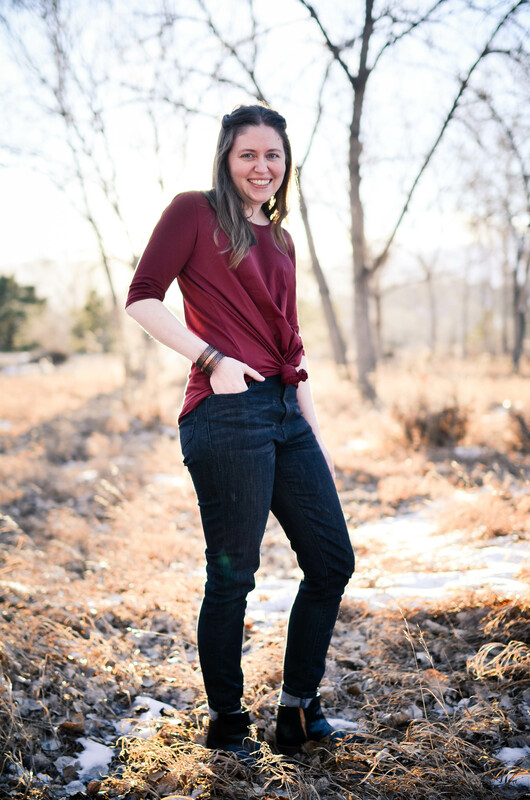 I do love the spiritual nature without it being overbearing and religious, it helps some of the phrases are merely quotes instead of scripture. Thanks for stopping by!